Bonnybridge Carpet Bowling Club is celebrating after receiving a £250 community grant for new equipment from the Scotmid Co-operative West Regional Committee. The award will pay for replacement balloting discs, measuring calipers and new sets of bowls. The group will also put funds towards their annual trip in May for club members. Michael Ross, Scotmid Co-operative West Regional Committee member, said: “I was delighted to get to meet the Bonnybridge Carpet Bowlers, their commitment and enthusiasm is to be applauded. “I was particularly intrigued by how close knit they were, the bowling club is a real social hub and lifeline. Anyone who misses a few sessions will have someone drop by to check up on them. 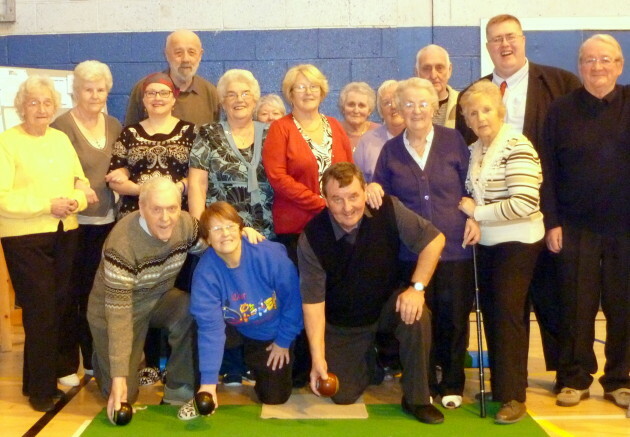 Bonnybridge Carpet Bowling Club meets each Monday, Wednesday and Friday between 1-3pm in Bonnybridge Community Centre.